The school run, but not as you know it! Absolutely Cultured has been reliving the magic of its summer event Dominoes in schools across the city by putting new meaning to the term, ‘the school run’. Dominoes by Station House Opera was Absolutely Cultured’s first major event, which saw a 3.5km domino run create a chain reaction that took over the city. The moving sculpture climbed stairs, fell through windows, travelled through public squares, civic buildings and private homes. 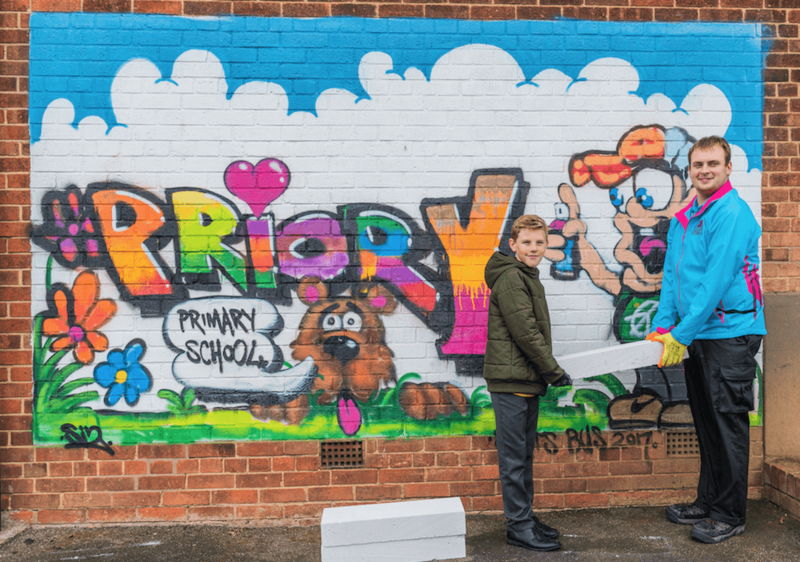 Over 30,000 people watched the dominoes weave through the streets and on Friday, three Hull primary schools – Ings, Priory and Rokeby – took part in their own domino event, connecting classrooms across the city for one special day. Each school was given two pallets of dominoes holding 240 breezeblocks and, assisted by City of Culture Volunteers, took part in activities to design, create, construct and film their school’s own domino run, which was enjoyed by children across all three schools of all ages. Playfully running in and out of playgrounds, up and down benches, around trees and even disappearing into classroom cupboards and doors, the event was enjoyed by students of all ages. Suzanne Oades, Year Five teacher at Ings Primary School, said: “It really has been a fantastic day. It has given students the opportunity to not only watch but be involved in creating their own domino run, which the whole school has enjoyed. Last term, ahead of Dominoes, Absolutely Cultured created and distributed a resource for schools to design their own domino run, using brightly coloured dominoes and huge maps of Hull city centre. Students were encouraged to discover the rich history behind some of Hull’s iconic buildings, share stories about their favourite parts of the city and learn new skills in event management such as designing posters and writing creatively about art. The bricks used by the schools were leftover from Dominoes, the celebratory city-centre event by Absolutely Cultured which took place in August this year, which were generously provided by MKM Building Supplies. The other remaining bricks were donated to three charities, Rooted in Hull, EMS and Recycling Unlimited. Many spectators of Dominoes took a brick home after the event, Absolutely Cultured would love to know what people have done with their domino using @abscultured and #dominoeshull on social media to share their story.